A very simple device to create fire at your finger tips at any time of the show. Make a sudden burst of fire appear on your fingertips while you produce or vanish the silk. 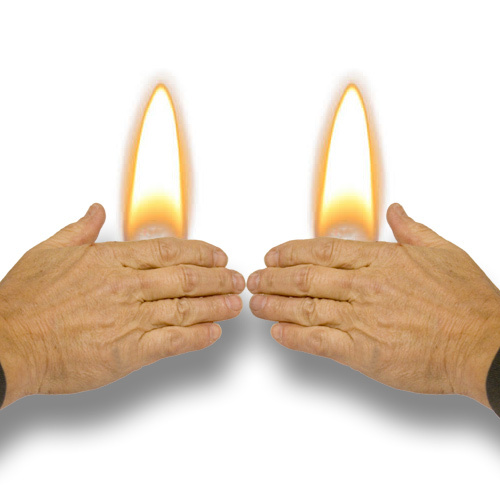 Make a sudden burst of fire appear on your fingertips to produce an eerie effect. Make the flames travel from one hand to another. Many more effects can be performed with FICKLE FIRE. The price mentioned is for a set of two one for each hand. Lowest price ever for this incredible effect.